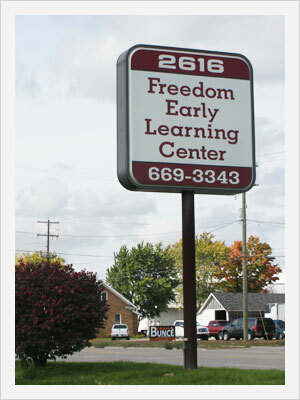 Freedom Early Learning Center is at the corner of San Ru and Port Sheldon between Chicago Dr. and 28th Ave. in Hudsonville, Michigan. Take Chicago Drive to Port Sheldon. Go west on Port Sheldon to 2616 Port Sheldon.